The Blue Cross Animals Society is a not for profit, completely self funded animal welfare organisation that for the past 30 years has specialised in the rehabilitation and readoption of injured, sick, abandoned and lost animals. We receive no government funding our shelter relies on the kindness and generosity of the public and our loyal members to continue to operate and care for our animals. Our shelter caters for many different species of animals, with our main focus on the readoption of dogs and cats. All of the animals in our shelter are cared for by our team of highly skilled, caring and dedicated staff who adore the job they do and come to work each day to make a difference in the lives of animals who have found themselves in need and need understanding and most importantly, a second chance. Our team is supported by caring and selfless volunteers who give their time each week to help make a positive impact on the animals in our care. Our adoption process is highly personalised, with much time spent ensuring each and every member of the family (including your other animals) are happy and that your new family member will be with you for life. All of the animals in our care are assessed on an individual basis and our team of staff will aim to rehouse each animal in their ideal home situation. We have many different personalaity types, breeds and sizes and each animal comes with his or her own story. Our staff take a very hands on approach to rehabilitation and each dog receives basic obedience training, general socilisation along with plenty of love and affection. Our relationship with our animals doesn't stop once they leave the shelter and go to their new home, we are always here to provide advice or support and love to see our animals come back for a visit, or back to get another family member. 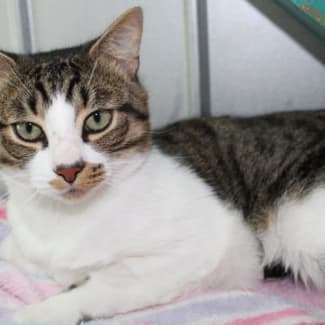 When Paradise came into the shelter, she was a sensitive young lady and not sure of her surroundings, she has come a long way and is turning into an affectionate and inquisitive lady. She is now happy to greet you at the door for some cuddles. 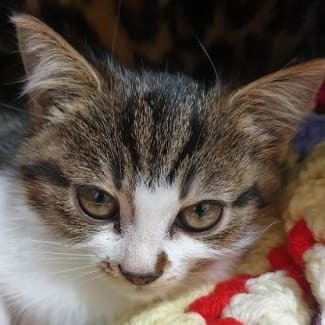 This lady is 1 year 8 months, please help by sharing her lovely photo and give us a call on 9722 1265 if you would like more information on Paradise. Gretel is 10 weeks old and is looking for someone who can give her a lot of loving, Gretel has been very loving and playful in her foster home and now that she is in the shelter waiting for her new family, she is feeling a little sad and in need of her own family to love her. If you would like to meet Gretel she is at 26 Homestead Road, Wonga Park or give us a call on 9722 1265. 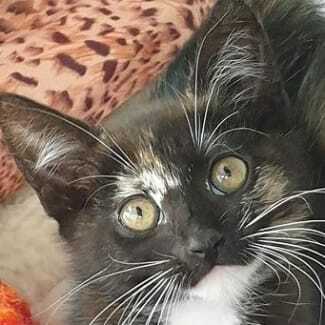 Sheena is a stunning 10 week old kitten. This little girl is full of beans then when she gets tired she loves to just curl up on your lap and fall asleep. She is a little purr machine. If you would like to meet Sheena you will find her at 26 Homestead Road, Wonga Park or give us a call on 9722 1265. Please share this lovely young lady to help her find her forever home. ‼️HAPPY BIRTHDAY SIMON‼️This lovely young man has just turned 1 year old and is now looking for his forever home. 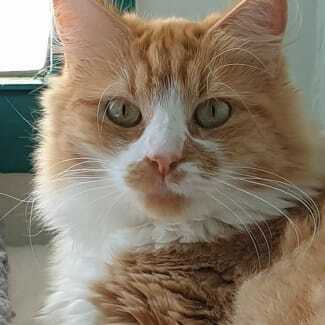 Simon loves his pats and giving your hand a headbutt, can you help Simon celebrate his birthday by helping him find his forever home. If you would like to meet Simon, he is at 26 Homestead Road, Wonga Park. Or give us a call on 9722 1265. Here is some fun facts on having black cats! 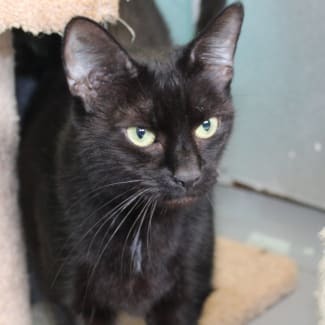 “Black cats bless marriages” “Black cats draw wealth and prosperity” “Black cats make safe homes and good harvests” “Respecting a black cat brings fortune” Mischief, and her brother Salem, came to us as their owner had to go into aged care. Mischief is 7 years 5 months and learning the ropes here at Blue Cross. She has settled in well and looking for a new forever home to spread her magic.